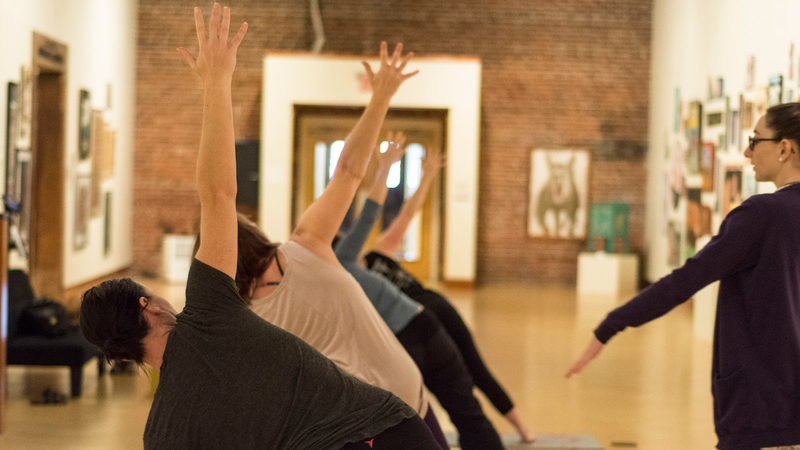 WMA hosts Art of Yoga, a monthly yoga series that takes place at 9 a.m. on the first Friday of every month. Art of Yoga combines the therapeutic nature of art with the healing properties of yoga under the instruction of certified yogi Raquel Marques-Jackson. Join us to spend an inspired hour on your mat surrounded by some of the South’s most engaging art! Participants will be guided through an all-levels appropriate class held in one of the museum’s galleries. Please bring your own water bottle, yoga mat, and towel (if needed). Each class is $10 and no reservations are required. For more information, contact WMA at 334-794-3871 or send an email to info@wiregrassmuseum.org.